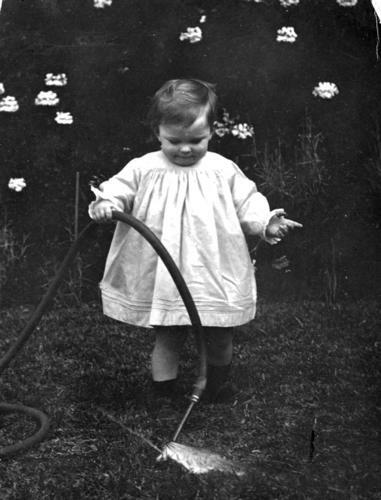 Recently, I was working on a project that coupled frugality tips with black and white public domain photographs. In order to find ones for the project, I spent a lot of time digging through The Commons, which is a collection of the world’s public photography archives. Along the way, I found a lot of wonderful pictures of all kinds, so I thought I’d share this week’s “pieces of inspiration” sharing ten of my favorites with you. Regardless of how you feel about particular wars, the individual people on the ground are doing something incredibly courageous and quite threatening to their lives. I have a friend currently serving in Afghanistan. He made a very courageous choice to do that and regardless of whether I agree with it, I respect it and hope he makes it home in good shape. 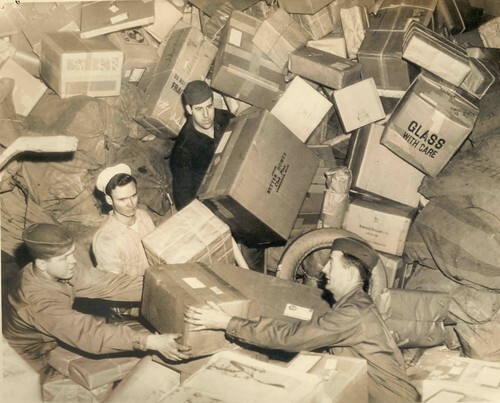 I’d like to believe that every military mailroom looks like this around the holidays when we have soldiers putting their lives at risk. Recently, my six year old has taken strongly to getting the mail for us and putting mail in the mailbox. The mailbox is higher than his head, so he reaches up to pull out items, sight unseen. 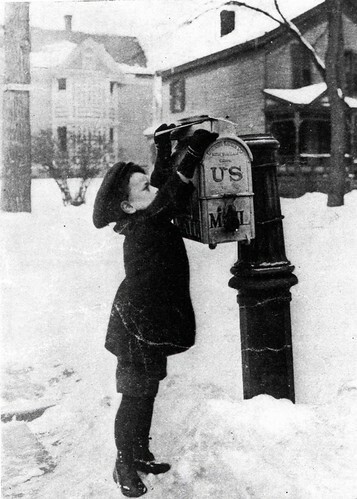 One element of this picture that I found interesting is how the mailbox works. The boy appears to be dropping mail in the top of the mailbox, and there’s not a door on the front of it. I often feel like this during the worst parts of winter. 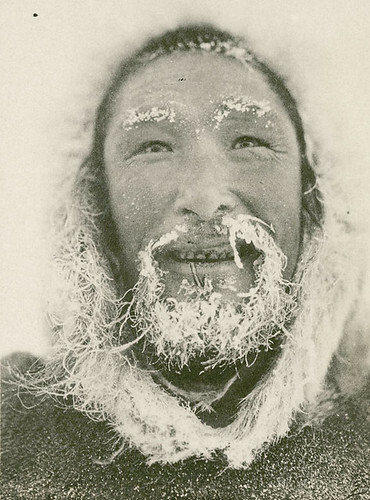 The thing that struck me is even though this man is obviously very cold and has been through a pretty intense weather experience, he looks pretty happy about the state of things. 4. World’s Columbian Exposition: Electricity Building, Chicago, United States, 1893. One of the things I’d love to have been able to see is the 1893 World’s Fair in Chicago where electricity was publicly demonstrated for the first time. Stories say that the electricity building was illuminated by incandescent lights, the only building in the city lit up like that. It stood out like a beacon in the night. I’ve read several books and seen many photos of this fair. It’s one of those moment I would have loved to have seen. 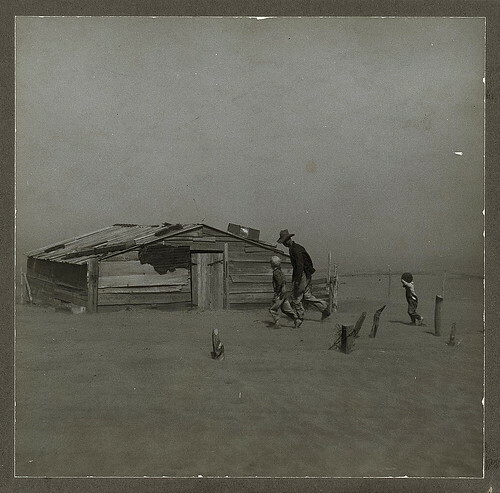 I’ve never seen the great soil storms of the Dust Bowl captured so starkly before. The reason everything looks so washed out in this picture is because the air itself is just loaded with dry dust, swept off the ground by vicious winds. This seems like another world. What I find noteworthy here is that the costumes almost entirely look homemade. 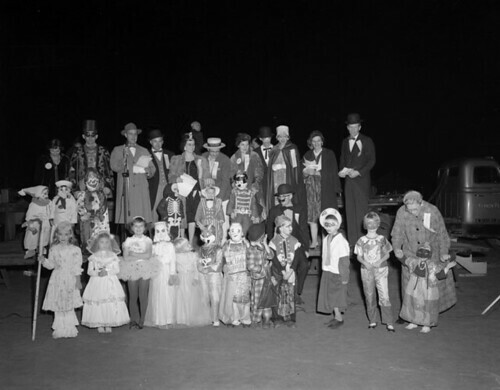 They’re refashioned dresses, masks made from plaster at home, costumes that were hand-sewn. Today, most of the costumes I see were purchased a few days before Halloween at the local department store. Plastic masks of well-marketed characters. There’s just something missing. There’s just something so Americana about this picture. 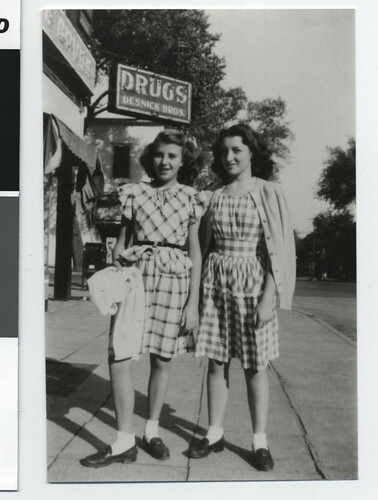 It’s just two girls standing in front of a pharmacy just after World War II, but there’s something about it that seems to capture the essence of the pastoral America. I love going to small towns that still have a thriving Main Street. There’s just something wonderful about them. I was a witness to the Mississippi River floods of 1993 and 2008. A flood can do an incredible amount of damage, turning enormous amounts of human endeavor into a soggy mess in an instant. In some ways, a flood is a particularly devastating disaster because there is an incredible amount of cleanup work that needs to happen before you can even begin to rebuild. There was something incredibly familiar in this man and his child, surveying the damage of the flood in an area where he had personally invested a lot of time and passion. 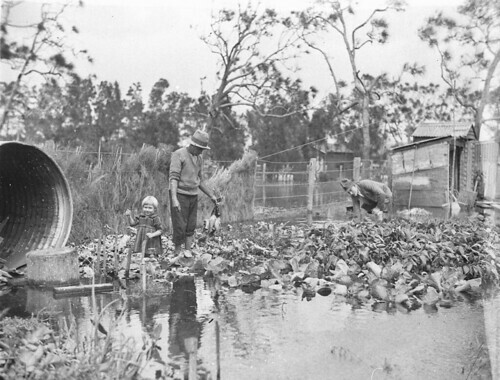 I have this strange fascination with people who would pick up their lives and dive wholeheartedly into gold rushes in the 19th century. Their entrepreneurial spirit was amazing, but often they would enter into a beautiful area by the thousands and lay waste to it. It’s a fascinating mix of traits I deeply respect and results that trouble me. The thing that I love about all of these old photographs is the commonality of human experience. I can’t tell you the number of times I’ve seen my own children do something like this, only to end in a mess just a few moments later.